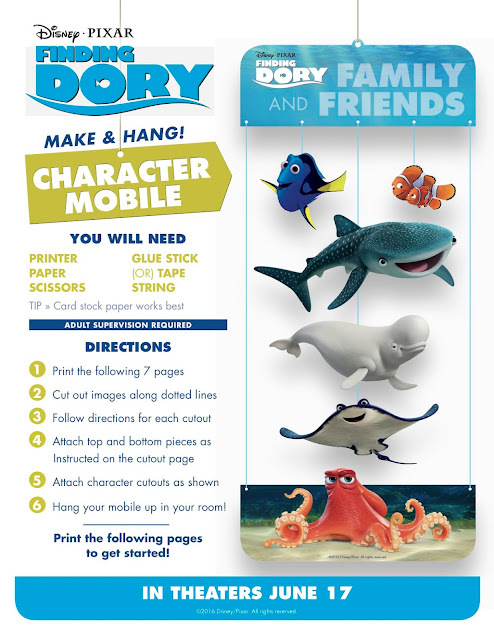 Be Brave, Keep Going: Finding Dory Free Printable Memory Game, Mobile Craft, and More! Finding Dory Free Printable Memory Game, Mobile Craft, and More! This Finding Dory Printable Memory Game is a fun, easy and free way to celebrate the world's most friendly and forgetful fish. 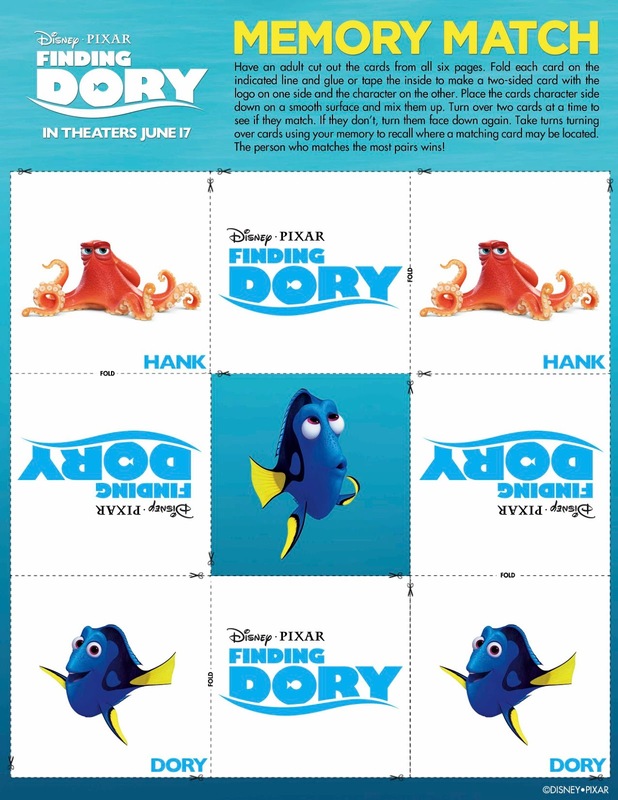 As you know, our family is excited for the release of Finding Dory on June 17th. You can download these free printables for your kids. You'll need scissors, and yarn for the mobile. And you might want to consider printing the memory game on card stock, but what's great is if they get crumpled you can just print come back here and print out more! 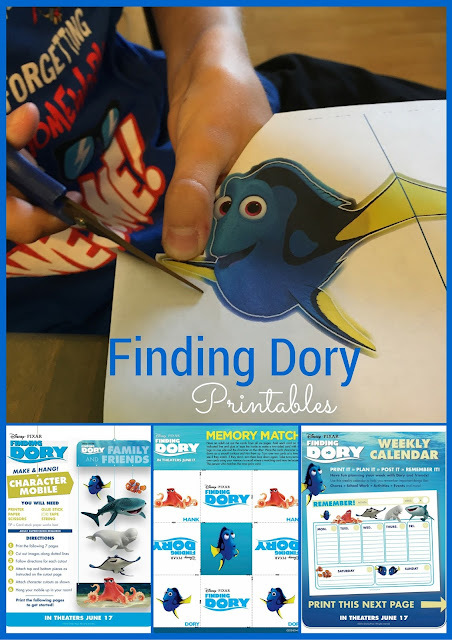 Looking for even more Finding Dory Free printables? 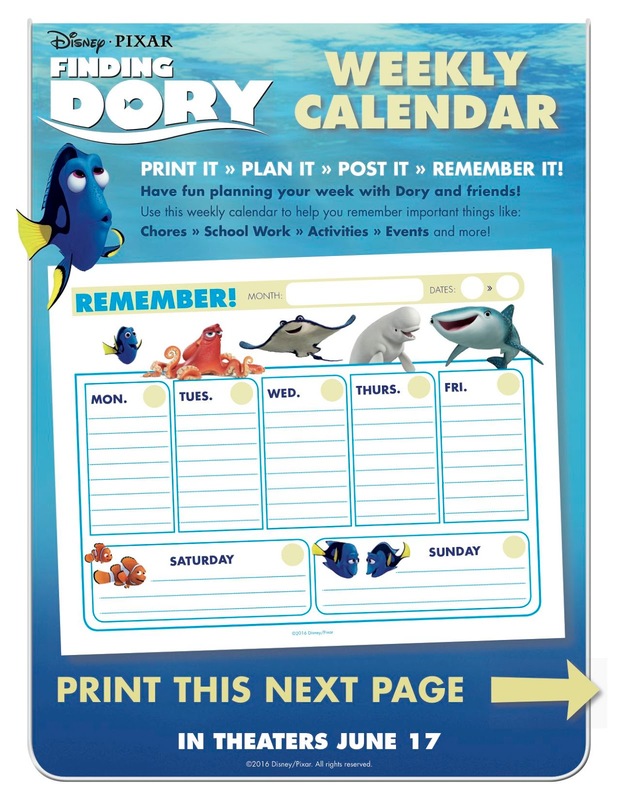 Check out our post with Finding Dory Free Coloring Pages. This is so much fun. My kids can't wait to see the movie! They'll have a blast with these. Thanks for sharing.